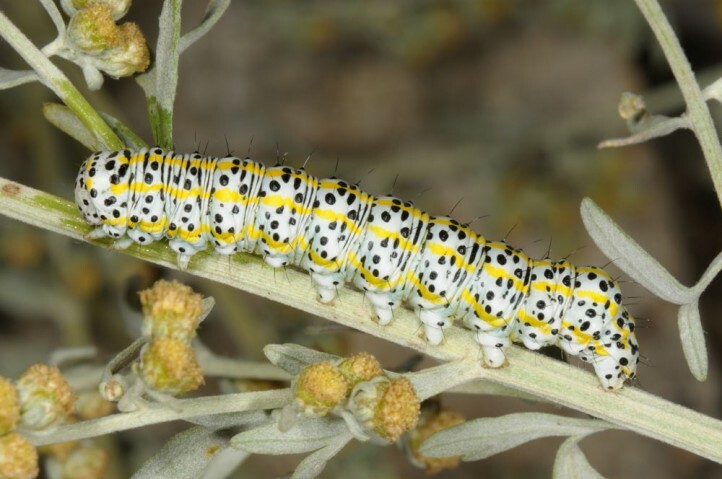 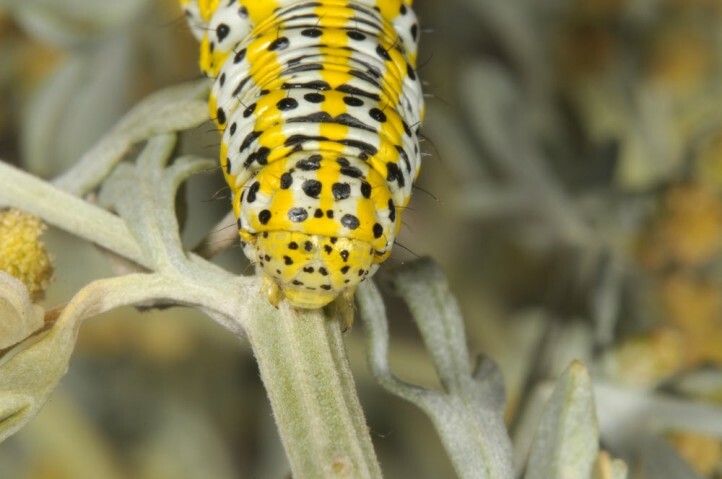 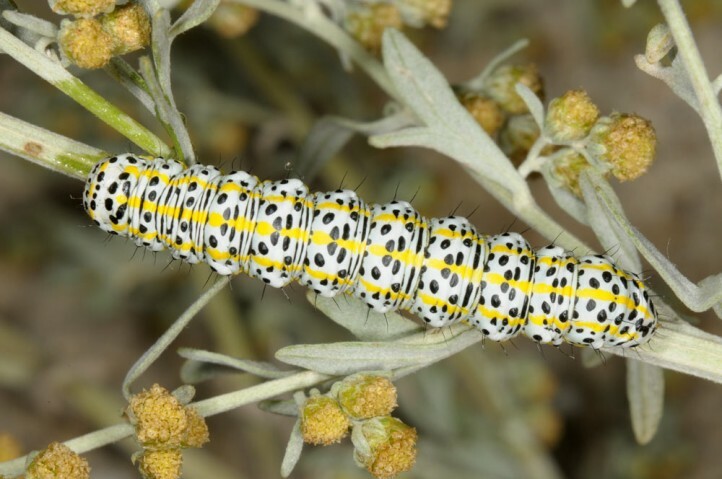 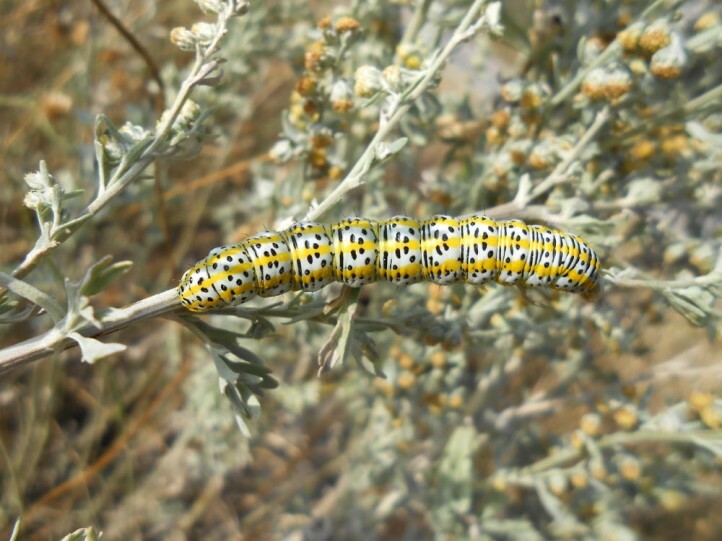 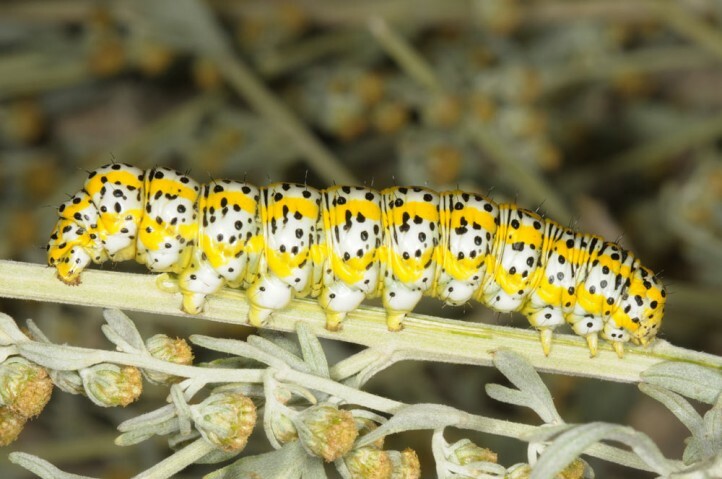 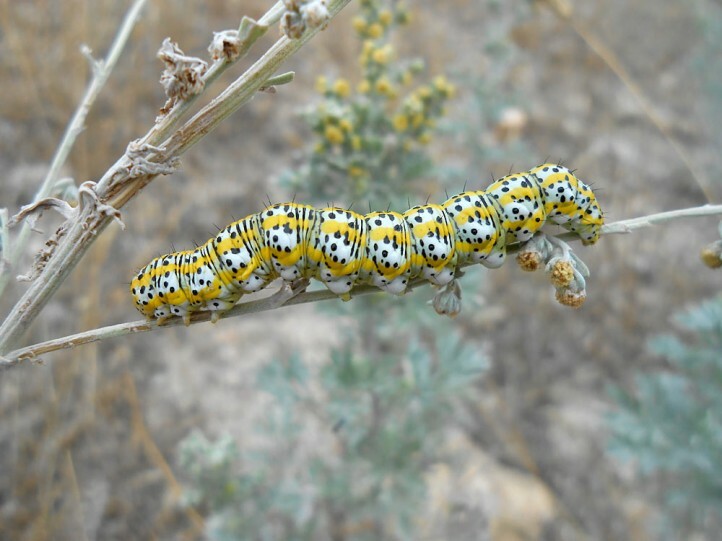 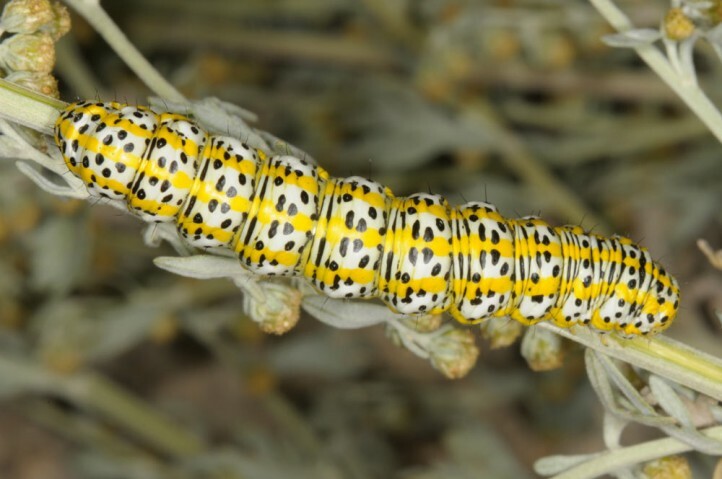 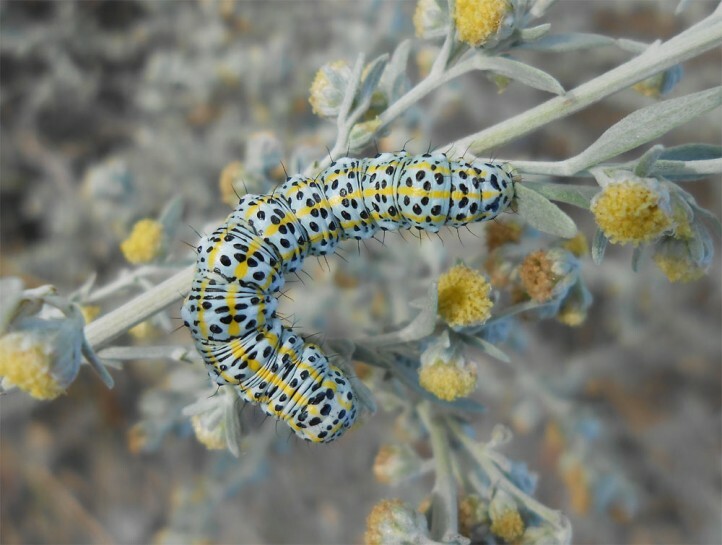 The larvae feed on some Asteraceae like Achillea, Artemisia and Tanacetum. 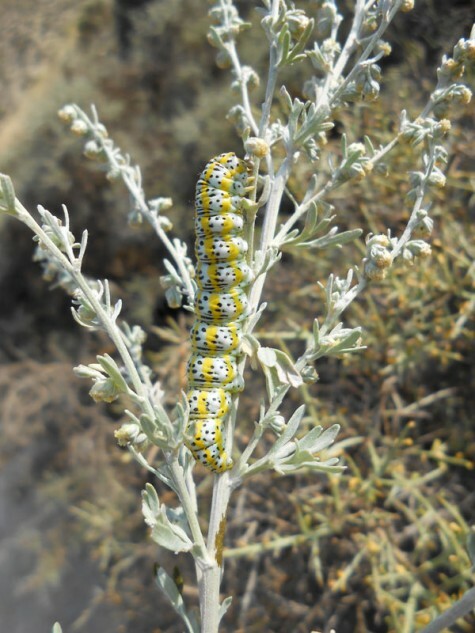 Cucullia tanaceti inhabits dry and warm sites such as sandy grasslands, dry slopes or ruderal areas. 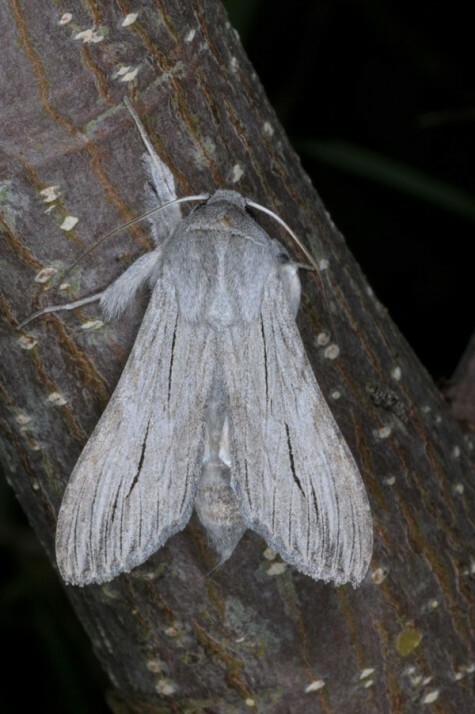 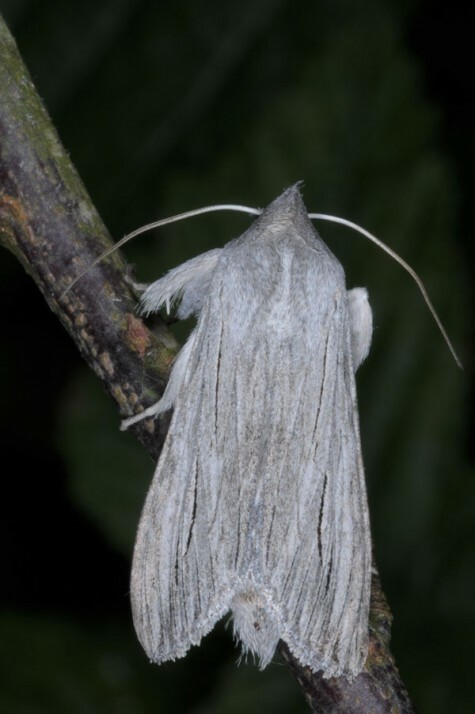 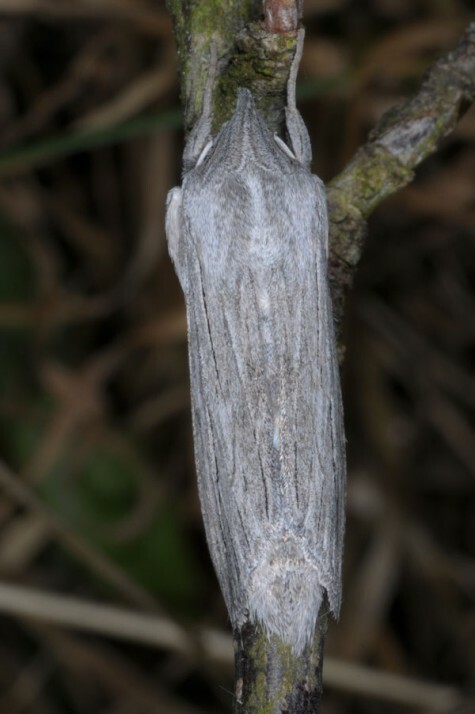 The pupa hibernates and the moths are on the wing between June and August. 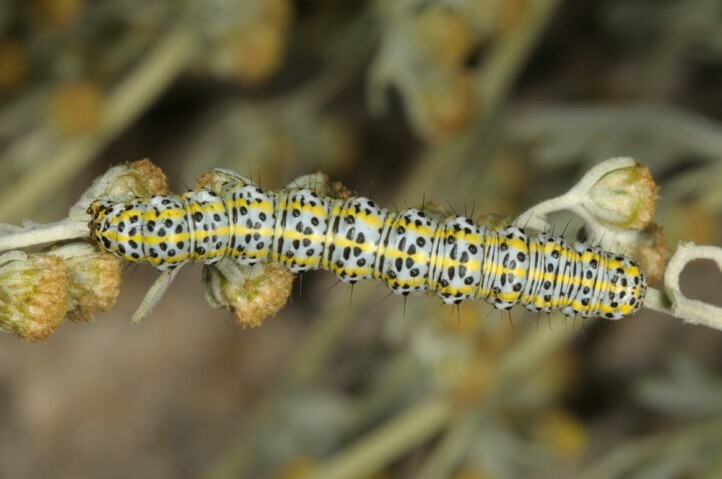 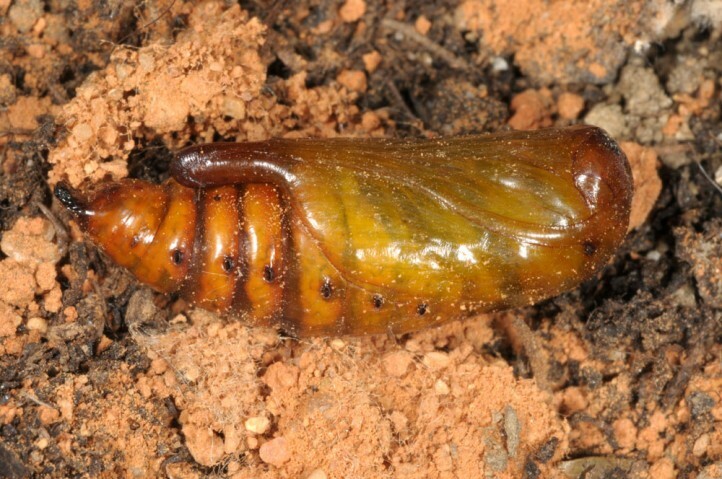 The larvae are recorded between July and September or early October. 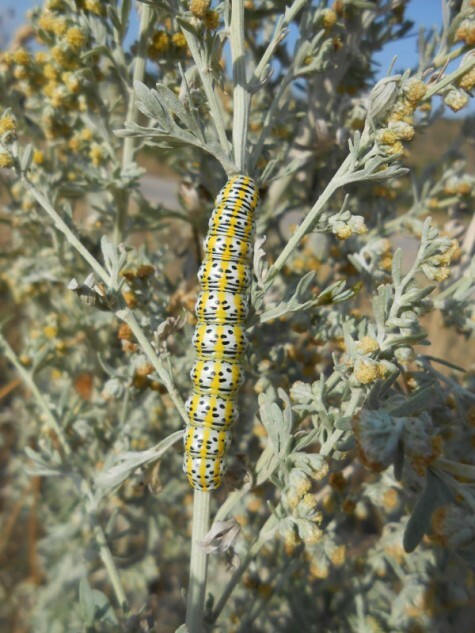 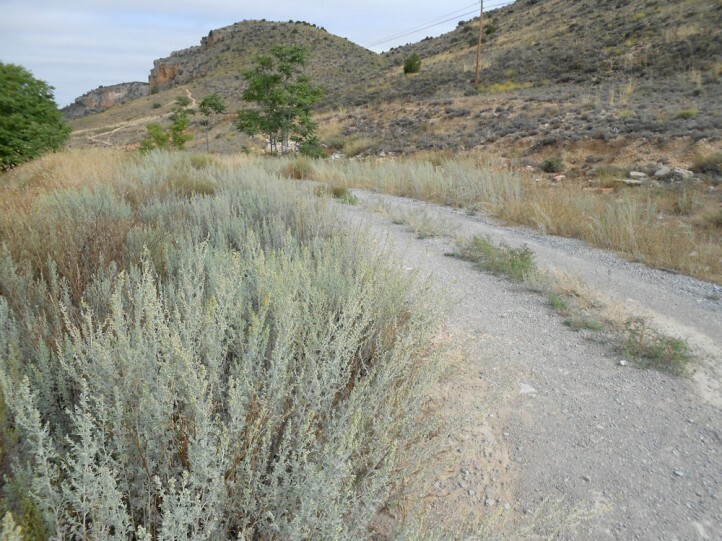 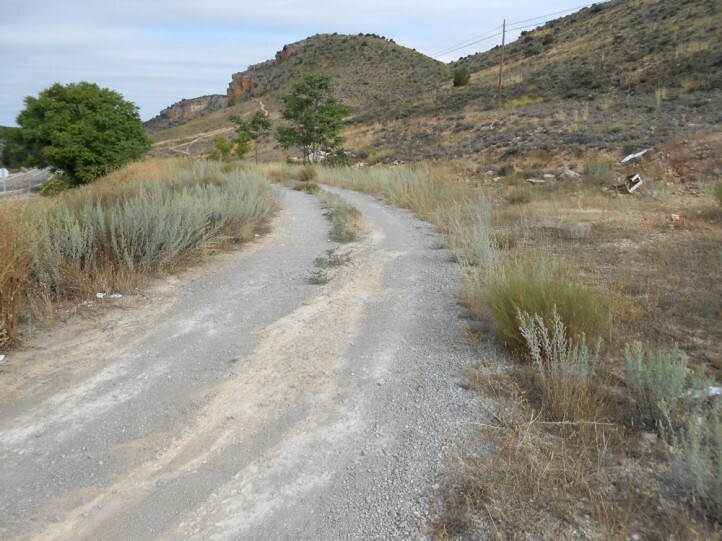 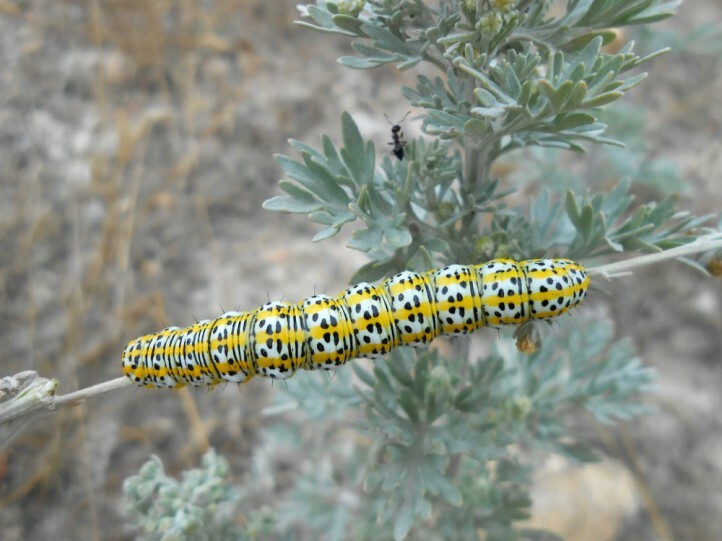 I observed them in late August in east Spain (Sierra de Albarracin) on Artemisia absinthium. 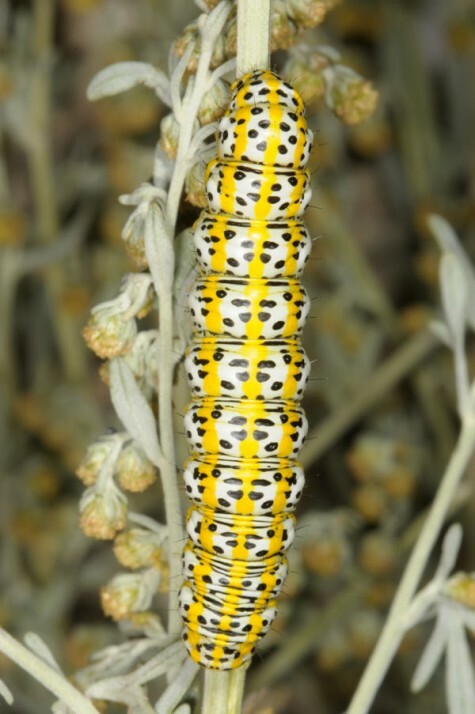 A certain part of the mature larvae seem to hide on stems near the ground during the day, but the other stays on the plants. 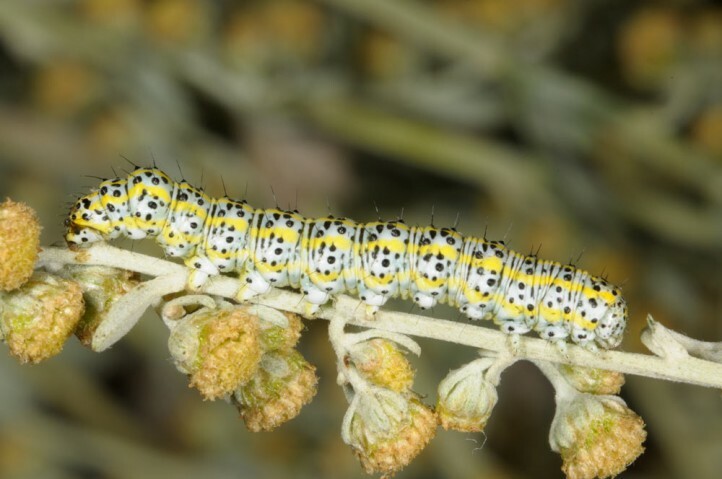 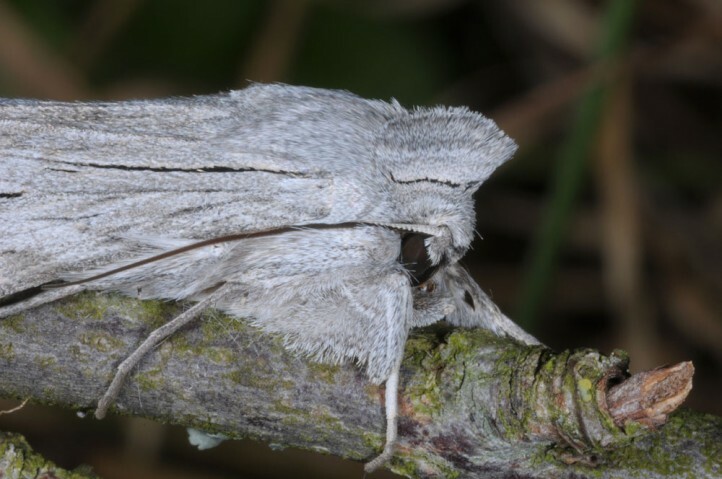 Cucullia tanaceti has already declined severely due to habitat loss in Central Europe. 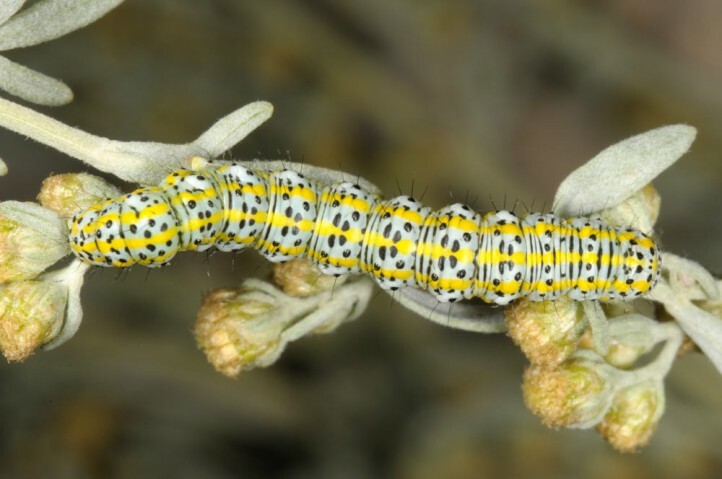 Cucullia tanaceti occurs from NW-Africa across southern and parts of Central Europe to Western Asia.